A new product that Zazzle recently came out with is the Personalized Soap Pump and the Personalized Toothbrush Holders. I put this baseball design on them and it looks great. 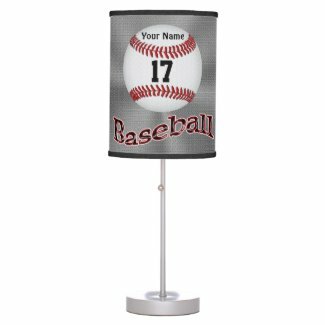 They will enjoy this cool techno Baseball Player hitting the ball, Baseball and scrolling glass like “Baseball” scrolled across some of the designs. 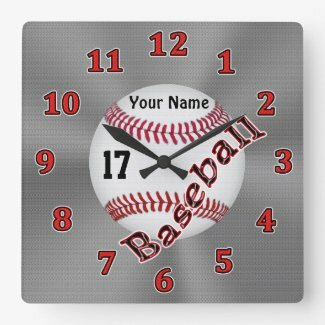 Please SCROLL all the way DOWN to see lots of Personalized Baseball Gifts. See the Matching Baseball Cup below created to go with the Baseball Soap Pump and the Baseball Toothbrush Holder. Will these Personalized Bathroom Accessories encourage them to wash their hands and brush their teeth. I hope so. I think they will be a great reminder because they will definetly notice the Baseball Bath Accessories you bought for them. 100% Love it Guarantee is offered by world renown Zazzle. The “Less than 1% return rate” really impressed me. Look at their Better Business Bureau Website A+ BBB.org Rating too. Look at the bottom of this page to see the INSTRUCTIONS on How to Make Personalized Baseball Gifts, in GREEN Font. 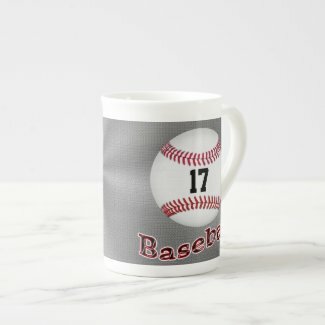 Short Video with my husband’s Vintage Baseball Gifts for Him. 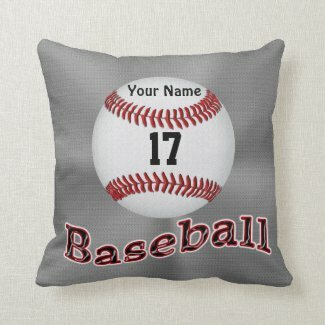 Super Cool Rustic old Vintage Baseball design that almost looks stone like. I LOVE LOVE LOVE this design. I wish they were in my shop. At the bottom of this page you can go to the next page and so on. You can also choose to see 96 Baseball Gifts per page just above the baseball products. Would you let your children choose how to decorate their own bedroom? I did and I didn’t. My son decorated his room but I didn’t go along with my daughter’s choices. My son made key decisions in decorating his room when he was only 8 eight years old. Should you allow your child to help choose decorations for their room. My opinion is this. I think it depends on what they want. I believe whole heartily that is is great for children to choose their clothes when they are only Two years old, even if it doesn’t look great together. If you are going someplace special, then help them out. With your gentle guidance, they will learn how to coordinate clothes. Start out by allowing them to choose something small, like socks and teach them along the way. My son is very artistic and creative and my daughter is a wonderful decorator in her own home. Some of this is likely hereditary and some from them being brr brought up with me creating, decorating, remodeling and selling artwork. After we finished my son’s room, I felt like taking a picture and putting it in a home magazine. He chose the 3 different wall papers and how to place them. It was so cool and creative. The wall paper was a sports theme with a coordinating stripe paper and a different border. He wanted to place it in a different way then I would have thought of. It was so cool that even my new step daughter wanted to keep the decor, even though it leaned toward boy colors, such as gray, navy and burgundy. I wish I would have a photo somewhere that I could find but with our last big move, lots of stuff is still up north. My daughter on the other hand wanted to decorate her room in colors I did not approve of. She was a young teenager. She had a great nac for choosing neat clothes at bargain prices when Name Brand recognition was a big deal. She dressed great without having to have expensive name brands. I shopped at Kohls for them. I would give my kids a budget and they could choose their school wardrobe (as long as it met my criteria). Occasionally one of them wanted an expensive Name Brand jean or shoes. I would give them an amount that a normal pair of jeans or shoes would cost and they had to make up the difference. This was done for a few reasons. One, I didn’t want to spoil them by buying them expensive things, two, I was a single mom for part of that time and three, it taught them how to budget and work for what they wanted. 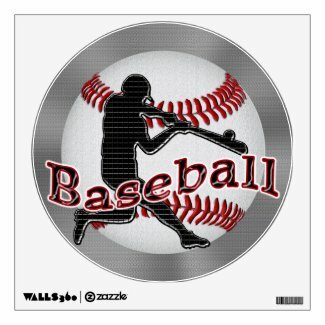 I really appreciate and want to Thank you you looking at my brand new Baseball designs. I can easily make changes to ANY of my Designs or put ANY Design on ANY Zazzle product. I hope you enjoyed the Baseball Decorations for Boys Room. Please don’t hesitate to call me for help or requests.